Oil on paper, 5” x 7”. Oil on panel, 6 x 8”. Currently available in the shop. Oil on panel, 6” x 8”. Currently available in the shop. Oil on panel, 6 x 6". Currently available in the shop. Oil on Arches Oil Paper, 4" x 4.5"
Oil on panel, 8 x 10", painted from life. Oil on panel, 9" x 12", painted from life. 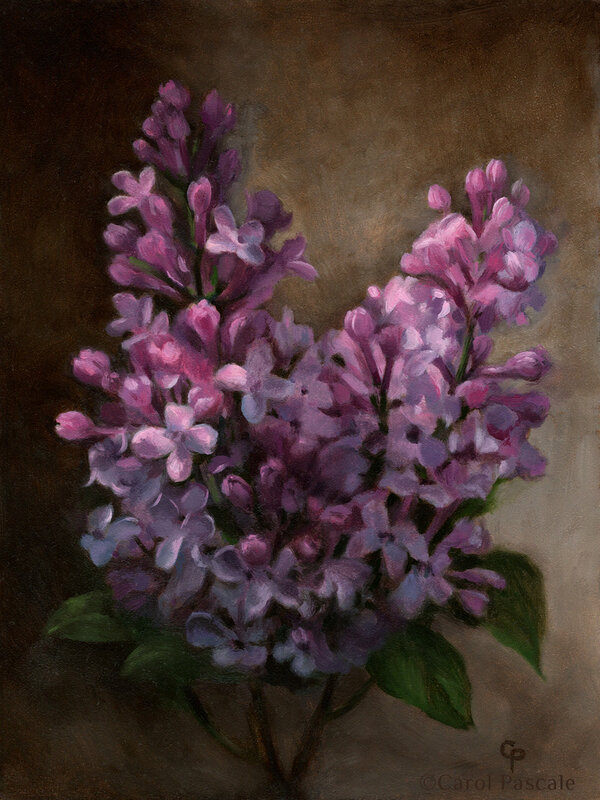 Oil on panel, 12 x 9", painted from life. 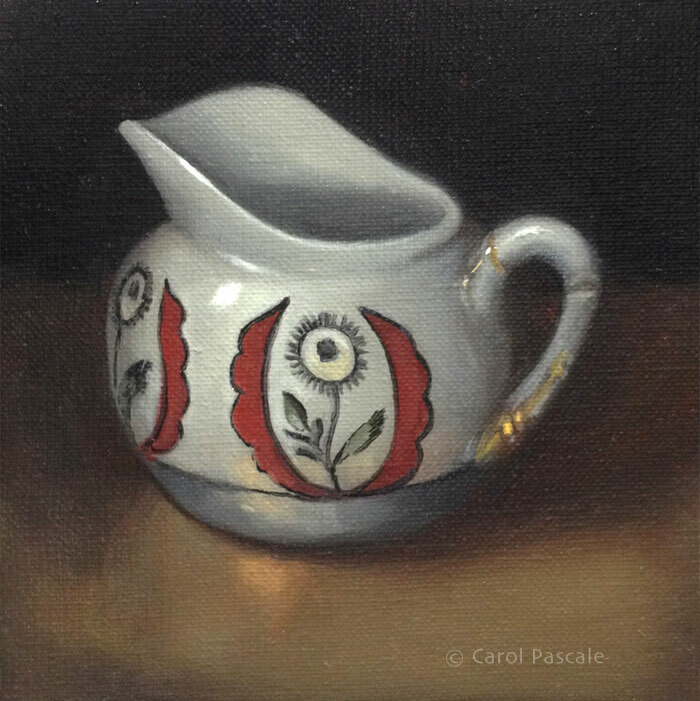 Oil on linen panel, 8 x 6", painted from life. Currently available in the shop. Oil on linen, 6 x 6"
Oil on linen panel, 7 x 9"
Oil on canvas, 12 x 16", painted from life. I welcome commissions of all kinds - murals, illustrations in oil, pencil, watercolor or gouache, portraits of people, pets, houses, special objects or any combination of things! Please contact me to discuss your ideas and don't forget to subscribe to receive occasional news and updates. Commission a portrait of your favorite pet! 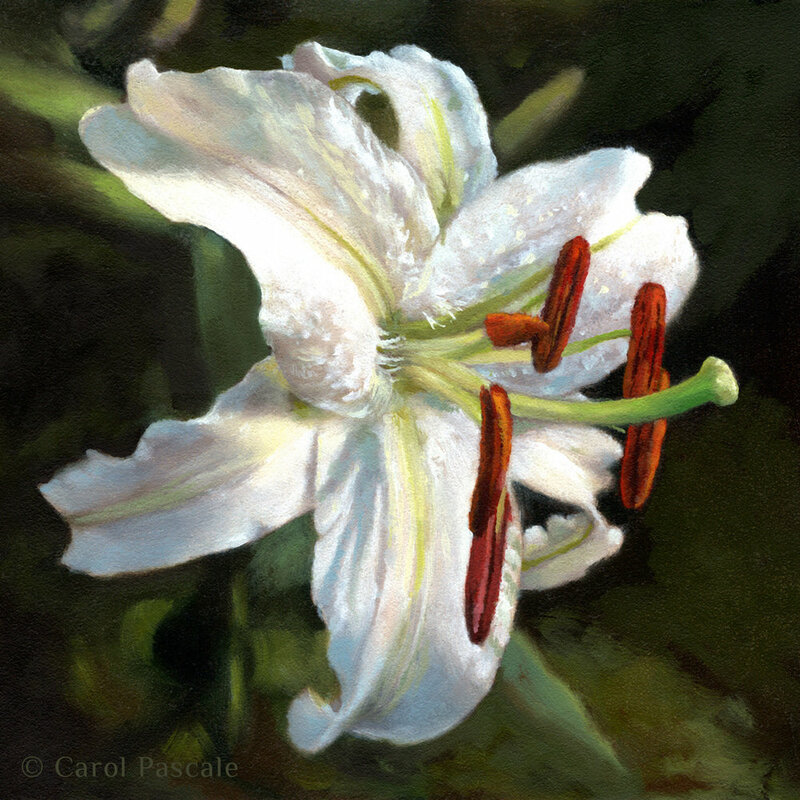 Carol Pascale paints commissioned oils, acrylics and watercolors for clients in the Philadelphia area and all over the world. Subjects can include portraits of people, pets, homes or favorite objects. Inquire about commissioning a painting! Murals are painted by hand in oil or acrylic on walls, ceilings or on canvas to be applied like wallpaper. Murals on canvas can be painted in the studio and shipped anywhere in the world. Murals may include elements of trompe l'oeil, landscape, portraiture, decorative pattern and ornament or abstract design.